Welcome to Grandview Heights Schools Community Flyer page. The Grandview Heights Schools values the opportunities that the greater community offers to our students to enhance their intellectual, physical, personal, and social development. The district provides a forum in which non-profit and local organizations can post electronic flyers on the district website providing the organization’s purpose and intent complements the educational mission of the Grandview Heights Schools. As well, the district recognizes the value in providing information to our families and students in a specific, defined, and cost, time, and environmentally efficient manner. The district will review and approve requests to distribute information to our students. Posting of event information on the district website does not indicate endorsement or sponsorship by the Grandview Heights Schools. To ensure the appropriateness of the material, the district may request the material be edited and reserves the right to not post a flyer. How do I submit a flyer for approval? To submit your flyer for approval, please email your name, contact information, and the actual flyer in PDF format that you would like posted to hayley.head@ghcsd.org. The following disclaimer must be displayed on the submitted flyer: This activity is not sponsored by the Grandview Heights Schools. The flyer, when approved, will be posted with a short description and PDF attachment to the district website under the Community tab and will remain on the website until the event expires. Community Information and Opportunities for Students, Parents, and Families - Submitted flyers to the following information are attached at the bottom of this page. NORTHWEST KIWANIS CLUB FUNDRAISING EVENT - TUESDAY, APRIL 16, 5-7 P.M.
Join members of the Northwest Kiwanis Club on Tuesday, April 16, from 5 to 7 p.m. at ARGO & LEHNE Jewelers for a special shopping event whereby 10% of all in-stock purchases from April 9-23 will be donated to the Northwest Kiwanis Club which sponsors the GHHS Key Club, Citizen of the Month luncheons, college scholarships, and youth soccer. Must present attached flyer at time of purchase. Acquaint your child, ages kindergarten and first grade, with different aspects of safety during this two-week camp June 3-14, 2019.. To sign up, call 614-488-3111, email mdurban@grandviewheights.org, or visit www.grandviewheights.org. www.grandviewheights.org. This program is sponsored by Grandview Heights Parks and Recreation. Syntero Counseling will be holding Summer Groups again this summer. Groups are available for all grade levels (entering into K-12). They are free for families, and spots fill up very quickly. One location is in Upper Arlington (Wickliffe School), and the others are in Dublin and Hilliard. See the attached flyer. The Wellington School, located in Upper Arlington, offers a variety of summer programs for all ages including Pre-K through high school. For more information, see the attached flyers. The Discover Dance Scholarship Program offers children in the Central Ohio area opportunities for quality dance education and training. Students awarded this scholarship will receive fully funded year tuition to the BalletMet Dance Academy and will be required to take two ballet classes two days per week for the 2019-2020 school year. Students must be 8-12 years of age by September 1, 2019 to apply. No previous dance training is necessary. Questions? Contact Leigh Lijoi at 614-586-8629 or email education@balletmet.org. To learn more about joining Girl Scouts, see the attached flyer or visit gsoh.org/join to get started on the fun right now! Summer fun begins at the Ohio Craft Museum! Registration is now open for camps and workshops. Register at www.ohiocraft.org and see the attached flyer for descriptions. Open to ages PreK through Grade 8, practices and games are at The Wellington School and Upper Arlington High School with each child playing one game in the OSU Horseshoe. Registration information will be available beginning March 1, 2019.
contact Becky Ryan at rebeccalearyan@gmail.com. 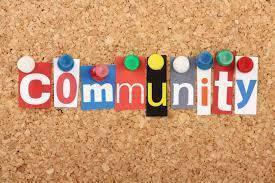 Register today for these Community Events the whole town will be talking about! Early Bird Registration Ends July 15th at 11:59 pm. Spring and Summer Camp Registration Begins February 5 for Residents and February 12 for Non-Residents. All other summer programs will be in our Summer Brochure which will be online in May. Summer Camps will run Monday-Friday from 9:00 am-4:00 pm with before and after care options available for an additional fee. Camps will drop off and pick up at the same location daily, either Wyman Woods Shelter House or McKinley Shelter House. (more information will be available at registration) Dodgeball, Kickball, Soccer, Water Games, Arts and Crafts, everyday there will be fun for everyone! Thursdays will be our Field Trip day. You will need swim clothes, towel, lunch, snack and tennis shoes daily. Mark Your Calendars for the 2020 Summer Enrichment & Birthday Celebration Extravaganza! This event will be hosted by the Grandview Heights Schools and the Grandview Heights Parks and Recreation Department. Come out and get your summer and birthday parties planned! This event will be fun for the entire family. From writing workshops to purchasing your pool passes, make your summer one full of adventures and opportunities! Community programs offers swim lessons for six-month-olds through adults with an increased emphasis on drowning prevention and water safety. Children's adapted aquatics teaches skills in progression, allow participants to swim and play safely in the water and includes one-to-one instruction. OSU is recruiting people between the ages of 10 and 17-years-old with a range of nearsightedness to study changes in the back of the eye associated with nearsightedness. For further information, contact Stacey S. Choi, Ph.D., Associate Professor, College of Optometry, by emailing choi.1080@osu.edu or by phone 614-688-2237. Nearsighted Children ages 3 to ≤10 are needed for a 4 year study to determine if a daily eye drop slows the progression of nearsightedness (myopia). Join the award-winning Columbus International Children's Choir. Rehearsals are held on Saturdays, August through May. Visit, www.cmaacademy.org to learn more. Dr. Brian Roe of Ohio State University's Department of Agricultural, Environmental, and Development Economics is seeking parents and children (grades 4-11) to participate in a study focusing on family food preferences and school lunch programs. Parents will receive $20 and children will receive $10 for their participation. Research is funded by the U.S. Department of Agriculture.